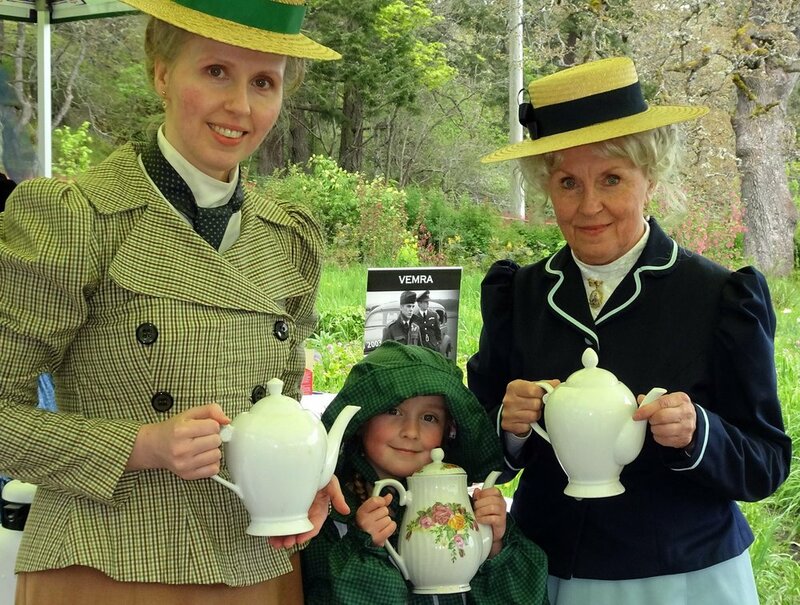 Last Saturday, VEMRA came out to the gardens at Fort Rodd Hill to help celebrate Earth Day with a Heritage Tea. A similar event was had several years ago for Mother's Day. This year, unfortunately did not start out great weather wise. But after a significant downpour, the rain stopped just in time to start serving copious cups of tea and hot chocolate. Many VEMRA members attended in a variety of historic dress representing a wide range of eras.